Bridal headpieces have been around for ages. Traditionally, wedding headpieces has been worn as a symbol distinction. In this modern era, the presence of tiaras is still very much alive. Although the adornments still bear that signifying status of prominence, tiaras are currently used in a variety of settings. More often than not, tiaras are worn for special events such as weddings. Bridal tiaras had certainly become a fixture in various wedding veil shops. In fact, bridal shops offer prospective brides with an attractive option of wearing a bridal tiara on a very special day. But before making that style decision, have a look around for the best bridal tiaras and veils in town. The prices of bridal tiaras may also vary depending on the materials used and the level of craftsmanship. A bridal tiara that is decked out with exquisitely genuine stones and crystals may require you to shell out a bigger amount of money. However, you can also opt for a more inexpensive alternative. Instead of purchasing a pricey bridal tiara, buy something that has the same elegant appearance and style yet does not possess real precious stones. In that way, you'll be able to get the look that you wanted without spending a fortune on a single-use bridal tiara. 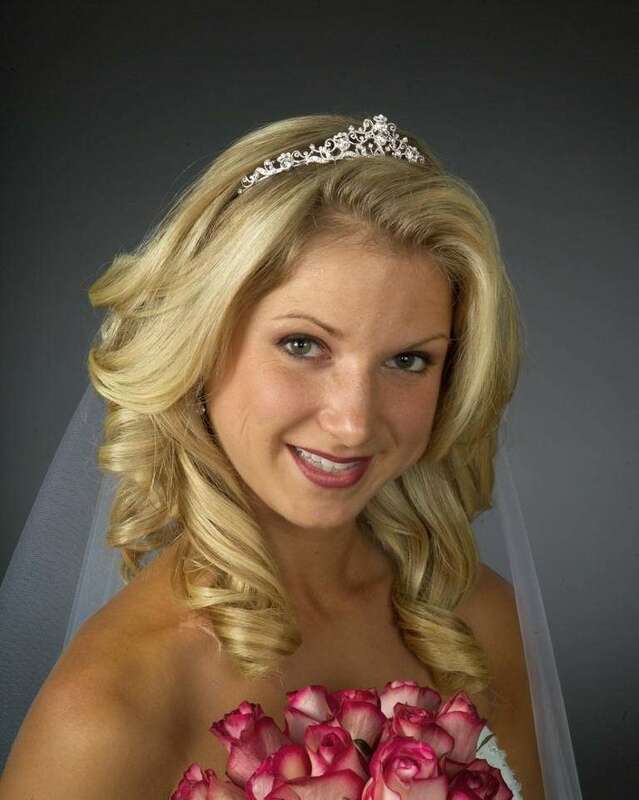 Bridal tiaras and veils allow soon-to-be brides to walk down the aisle in style. Along with a perfect-looking dress, bridal tiaras add a touch of elegance to the appearance of the bride. A bridal tiara can definitely be considered as the cherry on top of the icing. * The bridal headpieces shown here represent just a samples of the selection available.